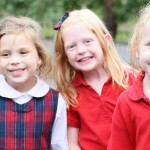 The FIRE Foundation is pleased to present an inclusive education conference for principals, teachers, paraprofessionals and parents who are committed to creating and strengthening K-12 inclusive learning opportunities at their Catholic schools. Please help us spread news about this opportunity. This conference is designed to light the way for Catholic schools who wish to welcome and support students with special needs. We believe that our Catholic faith calls all of us to be inclusive. Sometimes it’s difficult to know where to start. And it’s always essential to continue learning and growing. Whether you’re considering the idea of formally offering inclusive education opportunities at your school for the very first time or you are seeking new information to strengthen and expand your existing inclusion program, this conference is for you! FIRE Foundation hosts and presents this conference on a biennial basis. FIRE’s first inclusion conference was held in Kansas City in 2017. 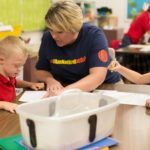 FIRE Foundation works to advocate and fund inclusive Catholic education in the Diocese of Kansas City – St. Joseph (MO). 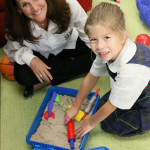 Since 1996, FIRE has provided over $5 million to support inclusive learning opportunities for hundreds of students K-12. 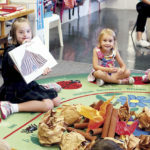 FIRE funds make it possible for schools to hire special educators and para-educators, acquire technology and resources, and provide professional development so learners with intellectual disabilities can learn, grow and thrive in Catholic schools. We believe that inclusive education fosters a culture of acceptance and compassion where ALL students grow together in faith, knowledge and friendship. In addition to supporting inclusive education in the Diocese of Kansas City-St. Joseph, FIRE is pleased to partner with two affiliates: FIRE Foundation of Northeast Iowa (Archdiocese of Dubuque) and FIRE Foundation of Central Illinois (Diocese of Springfield). At the Inclusion in Action conference you will have the opportunity to tours Inclusive Schools, learn from National Inclusion Experts, and Network with Other Inclusion Advocates. Be sure to stop by our Marketplace to enhance your conference experience and gather additional information. Below is the conference schedule, keynote topics, breakout sessions titles and a listing of our marketplace guests. The conference will offer content covering a broad range of inclusion topics. Click here for session descriptions. Are you planning to pay for attendance at the conference with Title Funds, you can use this Justification Letter. “Moving from Welcoming to Belonging: Inclusionary Approaches in Catholic Schools” presented by Michael J. Boyle, Ph.D. Registration for the conference is $349. BONUS: Parents who meet qualifications & register by December 15 will receive a discounted conference rate of $249. IMPORTANT: Parents may register for the conference under the parent rate however the qualifier form MUST be submitted at the time of the registration. If a parent does not qualify we will contact them directly. If the Courtyard is sold out, you may find additional lodging at the TownPlace Suites Kansas City at Briarcliff directly next door by contacting Marcella Garner or Olivia Mclain, at 816-841-2356. 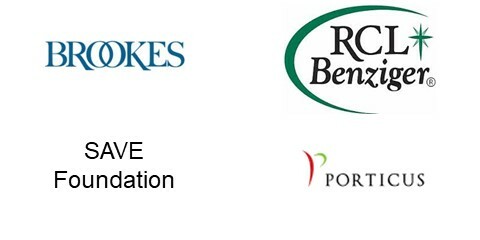 Thank you to these sponsors for their generous support of this conference.